Southern Financial Health Insurance is actually a part of Western & Southern Financial Group. Under Western & Southern Financial Group, Western & Southern Life Insurance offers a Critical Illness health insurance plan. The company does not offer medical health insurance coverage. Western & Southern Life has been selling insurance since 1888. Their main goal is customer service and providing the best care to its policyholders. There are 180 offices and 1700 agents available to meet your insurance needs. Western & Southern Life Insurance can generate an online quote for interested customers. Once you choose the insurance type, the system will generate questions for you to answer. After this is completed, you will have the option of choosing different coverage options. Then a quote will be generated for your review. Once the quote is generated, you can either make changes or request a second quote or you can choose the option of requesting to speak with an agent to obtain coverage. Western & Southern Life Agents can be found by clicking on the link on the company’s website. Simply input your zip code into the tool bar and a list of agents will be generated for your review. Western & Southern Life also provides the option of finding agencies in your area. Again, the only requirement is to provide your zip code and a list of local agencies will appear. Then you can email the office or view a list of all the agents within that particular office. If there is not an agent or agency in your vicinity, the website will provide the Client Relationship Center information for you to contact for service. If you would prefer to call them without performing the search, the Client Relationship Center can be reached at (866) 832-7719. You can also receive live help via the website at any time of day or night or email the company directly by using the link. A Client Relationship Center agent will get back to you at his or her earliest convenience. Western & Southern Life Critical Illness policies are designed to pay you cash benefits after you have been diagnosed with a critical illness. The policy helps you maintain quality of life even when you are unable to work. Cash benefits are chosen by the insured at the establishment of coverage. Cash benefits range between $10,000 and $100,000. Partial benefits are also awarded for certain illnesses and certain surgical procedures. The policy explains these benefits in detail on the website. You must be between the ages of 18 and 69 to qualify for this plan. Applications will be reviewed by the underwriting department to determine eligibility. Benefits are reduced once the insured reaches the age of 60. Details of the reduction of benefits can be viewed on Western & Southern Life’s website. Alzheimer’s disease is also considered a critical illness in certain states. 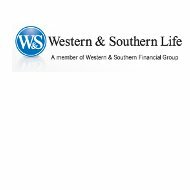 Western & Southern Life offers convenient ways to pay your insurance premiums. The company can bill the insured directly or perform an automatic withdrawal out of their checking account. Only initial premium payments can be made with a credit card. Western & Southern Life offers its policyholders the option of paying its premiums once a year, twice a year, quarterly, or monthly. Western & Southern Life Critical Illness premiums will be returned to the listed beneficiaries upon the death of the insured if the policy was never used. This benefit is not applicable in Minnesota or Florida. You can also receive a discount on your Critical Illness policy if your spouse is insured also at the same time. Western & Southern Life is rated A+ according to A.M. Best at www.ambest.com. The company has received multiple awards and honors. In fact, Western & Southern Life received recognition for its development and education of staff members from Training magazine in 2010. Fortune 500 magazine recorded Western & Southern Life as one of the top 500 companies for the eighth year in a row. The Cincinnati Enquirer listed Western & Southern Life as one of the best companies to work for in Cincinnati and Northern Kentucky in 2010. Compare and receive quotes from top rated health insurance agencies in your area by typing your zip code into the free rates tool now!